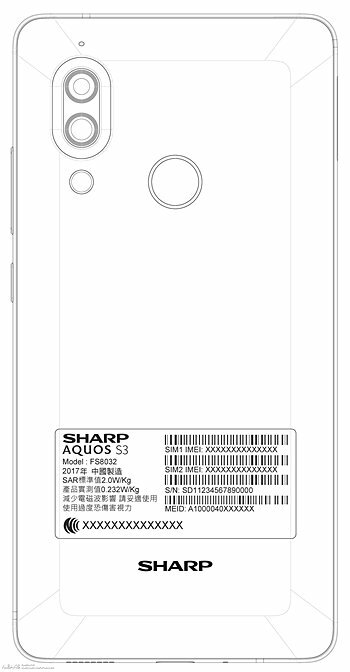 The Sharp Aquos S3 has got one step closer to being made official. The device, carrying a model number of FS8032, has been certified by Taiwan’s certification body NCC. 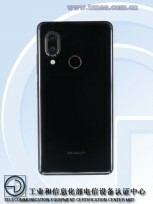 The image included in the certification also reveals vertically-aligned dual camera setup as well as rear-mounted fingerprint sensor. 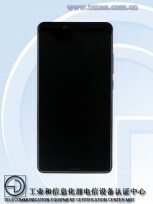 The device has already appeared in benchmark listings. A Geekbench outing for the phone revealed key specs, including Snapdragon 630 SoC, 4GB RAM, and Android 8.0 Oreo. Recently, the Sharp FS8015 cleared TENAA. If you compare, the design of that device (at-least the back panel) is similar to that of the FS8032. As per TNEAA, the FS8015 is powered by an SoC with octa-core CPU (clocked at 2.2 GHz), and features a 5.99” screen with 18:9 ratio and FullHD+ resolution (2160 x 1080 pixels). Memory options include 4/6 GB RAM and 64/128 GB storage. As for camera, the main module is 12 MP + 13 MP, while selfie shooter is 16 MP. The phone packs in a 3,100mAh battery.